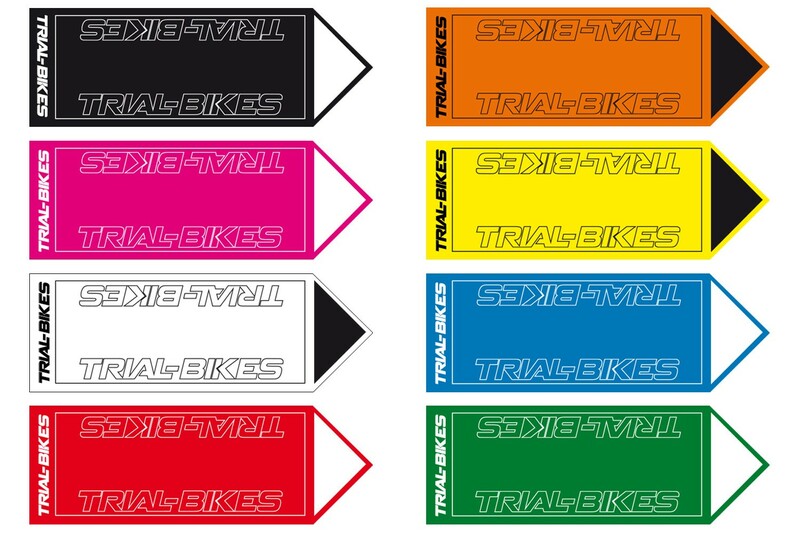 TrialBikes section markers. Pack of 10 markers for section and categories demarcation in bike trials and moto trials competitions. 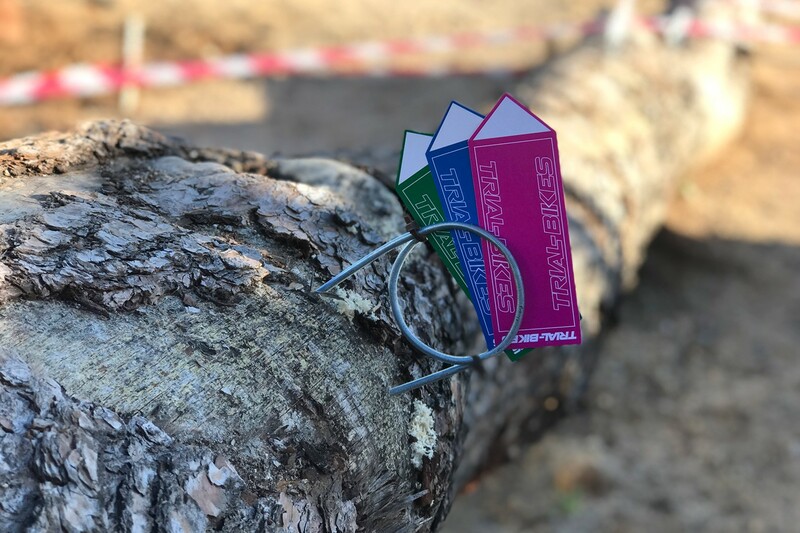 - TrialBikes section markers, use to guide a rider throughout a section of a bike trials or moto trials event, training or competition. commonly used on all kinds of competitions and events to direct the rider inside the sections. - Made of coated card, with high resistance against wear and wet weather. - Supplied as a pack of 10 markers of the chosen colour (all 10 markers come in the same colour). - White TrialBikes graphics (red, blue, black, pink and green markers) and black TrialBikes graphics (yellow, white and orange markers). The back of the markers is black.